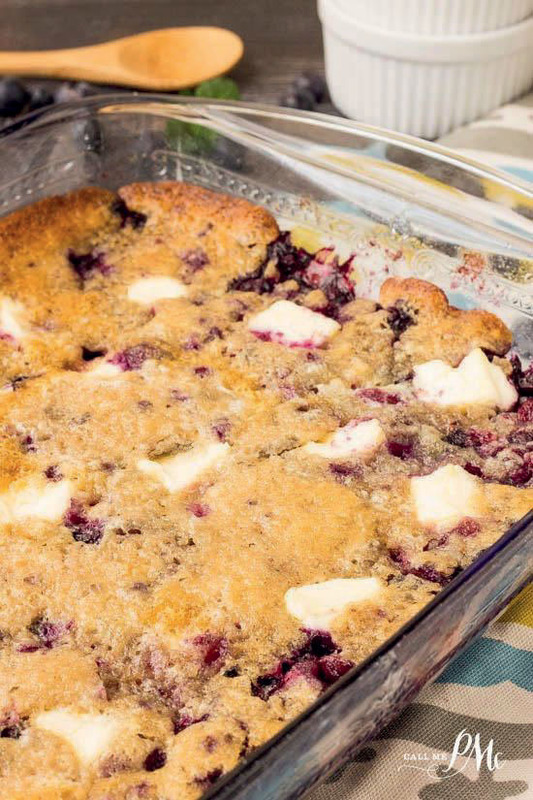 Blueberry Cream Cheese Dump Cake | Louisiana Grown | Real. Fresh. Preheat oven to 350 degrees. Place butter in 9x13 baking dish and set in oven for butter to melt. Mix together the egg, milk, flour, baking powder, salt, and sugar. Use pan with melted butter and gently pour batter over butter. Evenly spread the blueberries over the batter. Do not stir. Place cubes of cream cheese over berries so that each piece when served will have some cream cheese. Bake for 45 min., or until top is golden. Serve hot with ice cream or whipped cream, if desired.